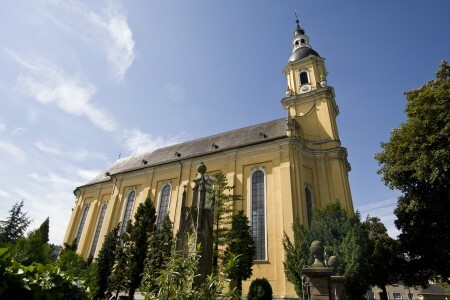 The former Collegiate Church of St. Paulin in the northern part of the city was erected in a Roman cemetery. 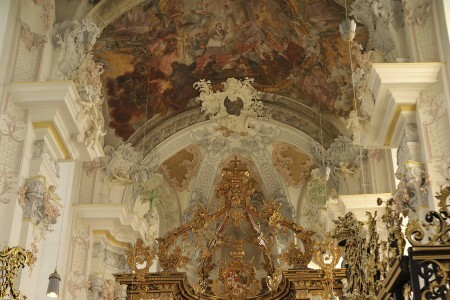 The most remarkable features of the church are the ceiling paintings and the sculptures in the interior - instead of individual spatial impressions, a single unified whole awaits the visitor. 04/28/2019: 10:00 a.m. - 5:00 p.m.
04/30/2019: 11:00 a.m. - 5:00 p.m.
05/05/2019: 10:00 a.m. - 5:00 p.m.
05/07/2019: 11:00 a.m. - 5:00 p.m.
05/12/2019: 10:00 a.m. - 5:00 p.m.
05/14/2019: 11:00 a.m. - 5:00 p.m.
05/19/2019: 10:00 a.m. - 5:00 p.m.
05/21/2019: 11:00 a.m. - 5:00 p.m.
05/26/2019: 10:00 a.m. - 5:00 p.m.
05/28/2019: 11:00 a.m. - 5:00 p.m.
06/02/2019: 10:00 a.m. - 5:00 p.m.
06/04/2019: 11:00 a.m. - 5:00 p.m.
06/09/2019: 10:00 a.m. - 5:00 p.m.
06/11/2019: 11:00 a.m. - 5:00 p.m.
06/12/2019: 09:00 a.m. - 5:00 p.m.